Our Bluffton, SC Chiropractor near you has been serving the community and injured and suffering patients for many years. We have built lasting relationships with our patients and have earned the trust and respect of local community leaders. If you or someone else you know is dealing with an accident injury, or just neck or back pain, our Chiropractic Care Clinic can help. Call Arrowhead now to schedule your Free Consultation with the doctor. Were you involved in a Car Accident in Bluffton, South Carolina? These accidents can be extremely serious and cause lifelong pain and suffering if your injuries are not treated quickly and correctly. Even minor car accidents that do not cause damage to the vehicles can have a lasting result on your body. Many patients experience symptoms like headaches, dizziness, numbness, tingling, memory problems, insomnia, stiffness, neck pain, and back pain. If you are experiencing symptoms like these, you need to find a doctor that specializes in treating musculoskeletal injuries, like a chiropractor. You do not want to let this one incident dramatically affect your health and quality of life forever. Arrowhead Clinic's chiropractors have experience and a long history of working with auto accident victims, which is critical. In fact, many medical professionals believe that Chiropractic Treatment produces the most accelerated and longest lasting results following an auto accident. Chiropractic treatment at Arrowhead Clinic's Bluffton, Ga office is well suited for victims of car accident injuries. Our approaches to care are safe, sensitive, and all natural. This is why our patients often get referrals from their primary care doctors to be evaluated at our offices. The goal is to help your body restore its natural functions and mobility while at the same time alleviating residual pain and soreness. The patients often see results like a drastic reduction in pain symptoms, reduced inflammation, increased range of motion, more mental clarity, and even a better night's sleep. We achieve these results not with harmful muscle relaxers and opioids, but spinal decompression therapy. This uses intermittent spinal traction to reduce stress on the injured vertebral joints. At the same time, the process hydrates your discs. These chiropractic adjustments facilitate proper motion in the joints and use electrical stimulation to reduce muscular and nerve pain in localized areas. In preparation for your Free Chiropractic Consultation at Arrowhead Clinic, you will be asked to complete paperwork that provides background information about your current condition, medical history, and symptoms you are currently experiencing. Describe the pain - is it dull, sharp, throbbing, or burning? Does it come and go, or is it non-stop? While seeking chiropractic treatment immediately after a car crash is essential to your recovery and general health; obtaining care and guidance from a doctor who specializes in auto accidents and other personal injuries will help you obtain a full and fast recovery. While most injuries are apparent or felt after a collision, some are not. This is because your body will deal with the trauma of the accident by reflexively producing hormones called endorphins. These will mask any pain symptoms you would normally be feeling. The Chiropractors at Arrowhead Clinics specialize in treating car accident victims, so it is important to be seen whether you feel pain or not. Our doctors will fully evaluate your spine and try to understand the effects the car crash had on your body. The chiropractic will then use your diagnosis to create a personalized treatment plan for your specific injuries. Some motor vehicle accident victims don't feel pain or discomfort for hours and even days after their accident. The most common delayed injuries of car accidents are soft tissue injuries. 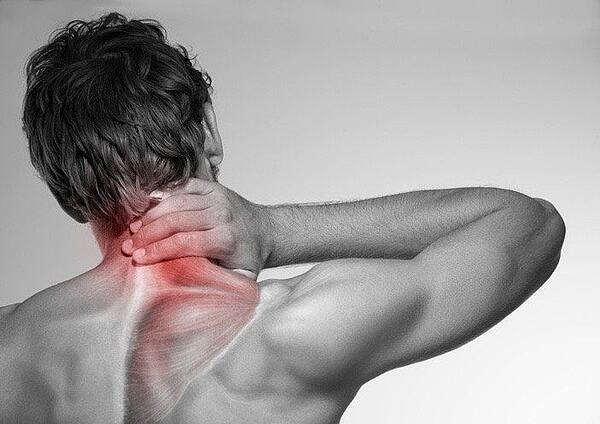 "Whiplash" is a soft tissue injury of the neck. Being hurt in a motor vehicle collision can put unwanted pressure on nerves and can even diminish nerve flow to the limbs and other vital organs. When your nervous system is performing incorrectly, all of the functions of the human body are at risk and can cause further complications. From blinking, breathing, moving, and your heart beating. All of these can become difficult if your nerve energy is left untreated. By realigning the spine back to its normal position, pressure will be taken off the nerves and patients will experience almost immediate pain relief. After an accident, some individuals need to prove that they suffered an injury in order to get their medical bills and treatment paid for. Based on the results of your exam, your chiropractor will be able to accurately diagnose your condition and provide medical documentation to the insurance company so you can be reimbursed for your Chiropractic treatment after an Auto Accident in Bluffton. Accident Injury symptoms make everyday tasks unpleasant and sometimes, impossible. Chiropractic care can help relieve your pain and tension quickly, allowing you to return to a regular and healthy lifestyle. These methods are preferred over costly surgeries and addicting and dangerous medications that only mask the pain. Specialized and trained chiropractors use chiropractic adjustments to fix the problem at its root source. Spinal manipulations correct your structural alignment and improve your body's physical function. Your chiropractor will use their hands or a small instrument to apply a controlled, but sudden force to a spinal joint. Short-term goals include the reduction of pain and restoration of normal joint function and muscle balance. Long-term goals are for the restoration of functional independence and tolerance to normal activities of daily living. Adjusting a spinal joint may sometimes result in the release of a gas bubble between the joints. This is called a cavitation and typically makes a popping sound. The same thing occurs when you “crack” your knuckles. This noise is completely natural and causes a sudden decrease in pressure within the joint. It is completely harmless and usually very relieving. Schedule Your Free Consultation with Dr. Zellweger Now! The Bluffton, SC area is a major golf destination and Dr. Zellweger is an expert at treating these types of sports injuries in addition to auto accident injuries and more. He is certified by the Titleist Performance Institute and uses postural correction, muscle re-balancing, and pain management protocols to change the way people recover after an injury or Car Accident. No matter how you became injured, our Chiropractors and Accident Injury Clinic can help you recover. CALL NOW! Click on the button below for a Free Consultation with one of our local doctors at the Best Chiropractic Clinic near you in Bluffton, South Carolina. We look forward to serving you and your family at Arrowhead Chiropractic Clinic. While attending Palmer College, Dr. Zellweger had an interest in sports and occupational injuries. It is here where he received personal training and was a personal intern for 3 years, for the world-renowned Dr. Mitch Mally, the founder of the International Academy of Advanced Chiropractic Orthopedics. He believes that chiropractic care should be tailored to you as an individual. Whenever I visit my parents in Bluffton, I schedule a massage with Donna Canipe. She's very in tune with where your body is at and truly customizes her massage to give your body exactly what it needs. It's the perfect "refresh" massage. Highly recommend!.